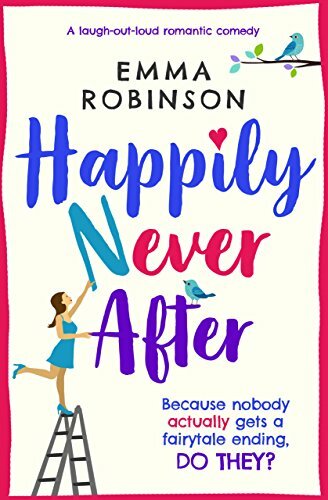 Rory doesn’t believe in happily ever after because otherwise, she wouldn’t have an ex-husband by now. After the divorce she’s trying to get back on her own feet and buying a house to live with her daughter is the perfect first step. A house that needs a lot of work and know-how that she doesn’t have but John Prince does. The builder who besides generous is also good looking and is more than willing to help her with her house. This was so so boring. You know when you’re expecting romance but you have to read 250 boring pages to get 1 final page of romance? Because that’s exactly what you will find in here. There’s no chasing or fighting or so much as freaking kissing until the very end! And I’m sorry if this is some kind of a spoiler but imagine reading a romance book and the romance you get is one single and very fast kiss at the very end of the book! I mean, no thanks! Regarding the author and the writing style. Well, this was my first book by Emma Robinson and as much as I didn’t like the story, I have to admit that the writing style is quite enjoyable and easygoing. It is just not fast-paced [insert woman shrugging emoji]. On the bright side, the book gets extra points for mentioning Ronaldo that, for those who don’t know, is a very well known football player from Portugal (my country). So, if, like me, you’re here for the romance, forget about it. This book is not for you. But, if you enjoy an easy reading without a big love story and if you’re more keen on family stuff, well then, this is exactly what you should be reading right about now!